Drip irrigation is a method of irrigation in which water is dripped directly to the root zone of plants. The water is slowly delivered to the crop root zone by eliminating runoff, evaporation, and drift. 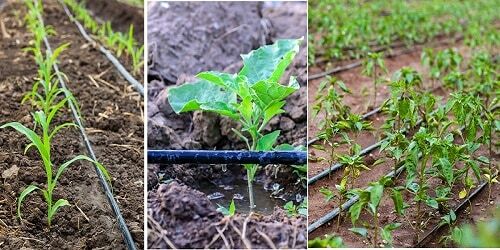 A well designed and managed drip irrigation system gives the producers the best uniformity and application efficiency available. It is also known as micro irrigation or localized irrigation. 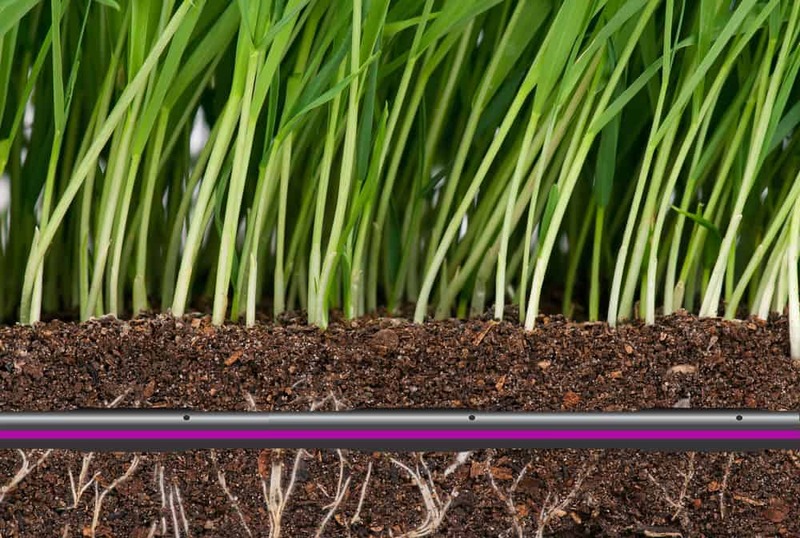 In this system, the water is slowly delivered to the surface of the soil above the root zone of plants. This type of irrigation is mostly used on high-value crops. 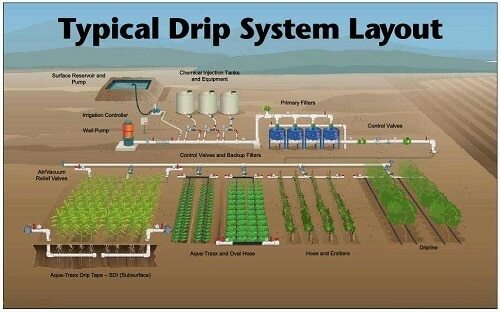 In this system, the water is slowly delivered directly to the root zone of crops. This type of irrigation is mainly used in growing row crops. 1. Use of available water is maximum. 2. Crop production significantly increased. 3. Loss of fertilizer or nutrients is minimum. Fertilizer can be used with high efficiency. 4. No water is available for weeds and hence weeds are grown in less number. 5. Erosion of soil does not take place. 6. Evaporation of soil is minimum. 7. No runoff of water and fertilizer. 8. Seed germination is improved. 9. Soil infiltration capacity is also improved. 10. Recycled water can be used. 12. Labour and operational cost are low. 13. Can be used in irregular shaped fields. 1. Initial set up cost is high. 2. Direct sunlight reduces the life span of the tubes used for supplying water. 3. Problems in moisture distribution. 4. Improper filtration may cause clogging. 7. Requires high skill for the installation and maintenance. 8. Flushing of tubes is required periodically. Also Read – How To Calculate Cement Bags In 1 M3.